The Kimberley is nearly twice the size of Victoria, which means going there without a guide of some sort probably means missing the best of it. It’s also one of Australia’s most sparsely populated and visited regions – only half the people that go to the Top End go to the Kimberley, and something like 3 per cent of those who go to tropical north Queensland. So far away from all of Australia’s population centres, it’s still wild and remote and massive. 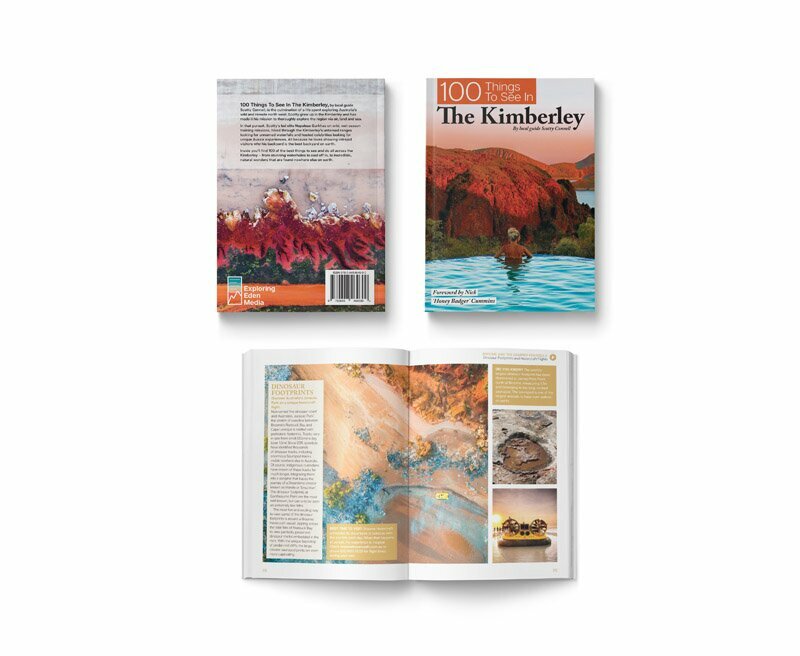 Which is what’s so great about the new book, 100 Things To See In The Kimberley, written by local tour-guide Scotty Connell. 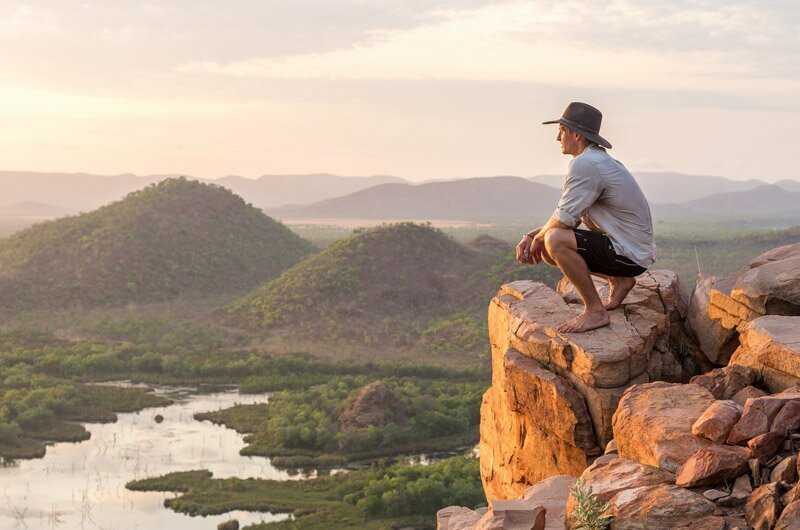 Scotty actually runs the Instagram account, @thekimberleyaustralia and owns Kimberley Spirit Tours, so spends most of his time, work or play, camping and exploring the region. The book is interesting – many books about the Kimberley are coffee-table quality, often taking on a poetic reverence to the area, while others are just focussed on camping or 4WDing through the region. Not 100 Things – for startes it’s only A5 in size, 180 pages long and easily fits in a glovebox or backpack. And as far as I can tell, it doesn’t tell much about places to stay or roads to drive on. Its sole focus is on awesome places to see and great things to do. There’s even space in it for the user to make their own notes. Each of the 100 places are easy to digest. Each of them includes a dreamy picture or two, plus background on the location, what to expect and why you should come and see it. There’s insight into when you should visit each spot too, which is sometimes as broad as the season, other times as specific as a time of day. It’s informative, easy to digest information, but it’s set out so simply. It covers every region of the Kimberley, too. There’s chapters on Broome and the Dampier Peninsula, the Gibb River Road and the Great Northern Highway. It’ll help you explore Kununurra and even the remote Kimberley coastline, which is generally only accessible by boats big enough to sleep on. We often see so much about the Kimberley that it’s easy to think we know everything about it, but there’s tonnes of places in the book I’d never heard of before reading it. If you are going to the Kimberley, or planning a trip through, this seems like it will be an incredibly valuable guide. 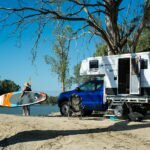 Sure it doesn’t cover much on camping or driving, but I think that’s on purpose – that information is becoming increasingly easy to find, and the topic is covered exceptionally well anyway. 100 Things To See In The Kimberley adds a local’s advice to the region, showing you what to do that isnt sleeping or driving, because neither of those things are the reason you go to the Kimberley.